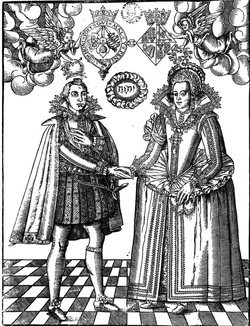 On February 14, 1613, Princess Elizabeth Stuart married Prince Elector Friedrich V of the Palatinate. This wedding united two of the most prominent Protestant dynasties in Europe at a moment when confessional tensions were rising (eventually leading to the outbreak of the Thirty Years War in 1618). The journey from the wedding in London to the couple's home in Heidelberg was strategically planned with elaborate celebrations along the way to drum up support for the "Protestant Cause" and project a message of strength to Catholic rivals. This map chronicles journey of Princess Elizabeth (in orange) and Prince Elector Friedrich (in blue) on modern, historical, and confessional maps to show the various stops in their seventeenth-century geopolitical context. ﻿The buttons at the top left corner toggle between the four different map views of the journey. Users can rollover and select the cities and routes of Friedrich and Elizabeth. Certain stops are annotated with additional information about key stops. ​﻿​​The travel descriptions and dates for this visualization were drawn mainly from the description, Beschreibung der Reiß, printed in 1613 by Gotthard Vögelin. This visualization was built using Neatline by Omeka by Jason Heppler and Molly Taylor-Poleskey at the Center for Spatial and Textual Analysis at Stanford University. Special thanks to David McClure, Erik Steiner, and Elijah Meeks. The map works best with the Google Chrome browser. The base map was created with MapBox. The confessional boundaries were determined from historical atlases and chronicles using the state borders of the Nüssli Euratlas 1600 map. Unfortunately, level of detail on this map does not always reflect the exact confessional or political boundaries of 1613 (for example, the town of Andernach appears in the bounds of a Lutheran state, when it was actually Catholic. Dates are in the Old Style, as they were written in the Beschreibung der Reiss. 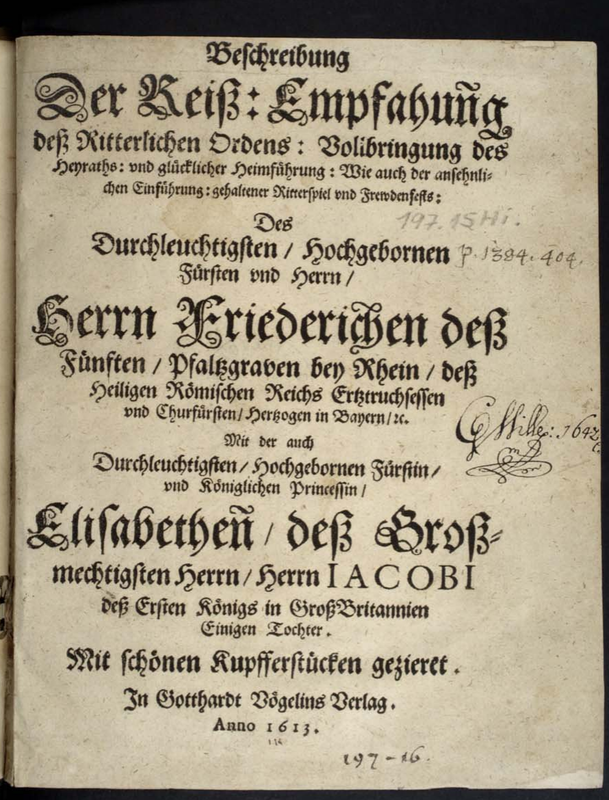 Parts of the annotated stops text were published in an article in the 2013 book Palatine Wedding of 1613: Protestant Alliance and Court Festival.